The Foot and Leg Spa soaks away tension with calf-deep water and hydro jets that massage and stimulate the reflex zones of your feet. 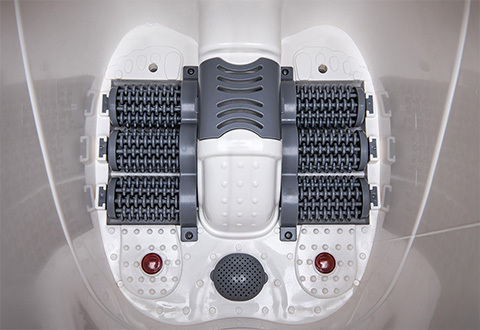 Automatic underwater rollers combine with invigorating air bubbles and adjustable heat (95°F to 122°F) to soothe and pamper feet up to men’s size 12. 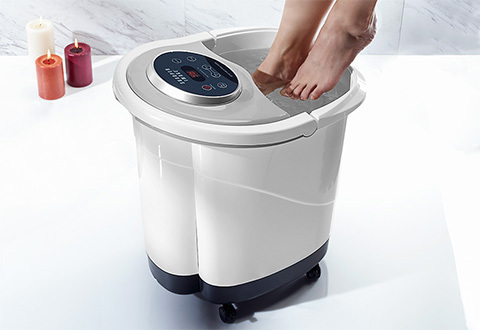 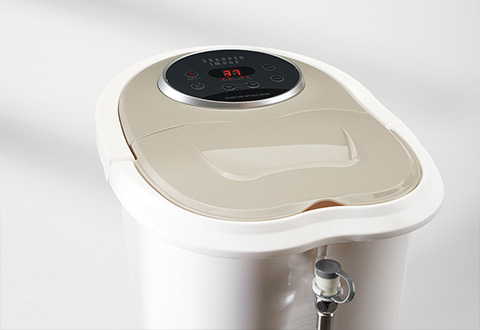 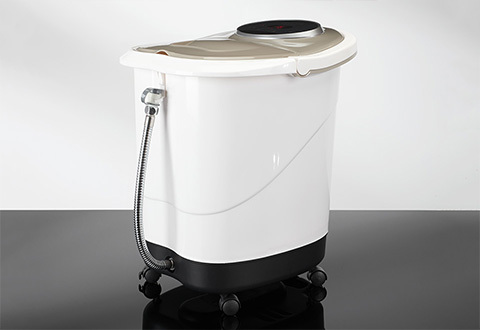 The Foot and Leg Spa soothes and pampers feet with invigorating air bubbles, heat and automatic foot rollers!